Pope receives President of the Republic of Korea On Thursday, in the Vatican Apostolic Palace, the Holy Father Francis received in audience H.E. Mr. Moon Jae-in, President of the Republic of Korea. 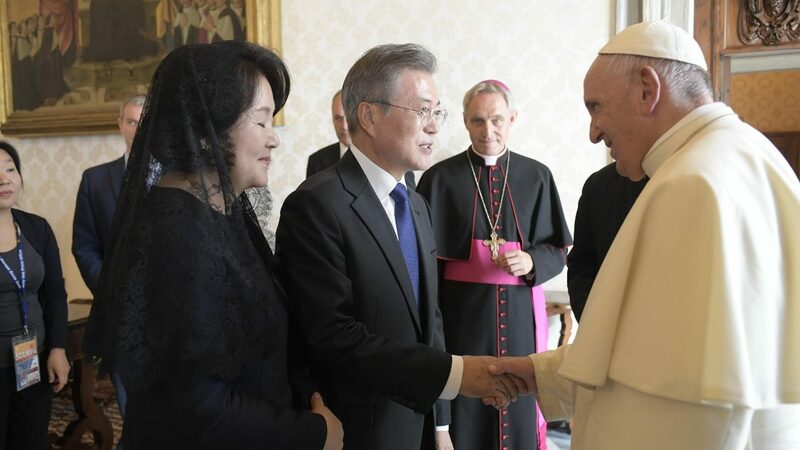 The Holy See's Press Office released a communiqué on Thursday describing the audience in which Pope Francis received the President of the Korean Republic. This is the full text of the communiqué: Today, in the Vatican Apostolic Palace, the Holy Father Francis received in audience H.E. Mr. Moon Jae-in, President of the Republic of Korea, who subsequently met with His Eminence Cardinal Secretary of State Pietro Parolin, and with H.E. Msgr. Paul Richard Gallagher, Secretary for Relations with States.